Colin: And with that, I think I’m out of prison movies to hat-tip. Except Green Mile, but screw that. Oh, and American History X I suppose. We’re black and white like American History X. Does that count? Hey, everyone! 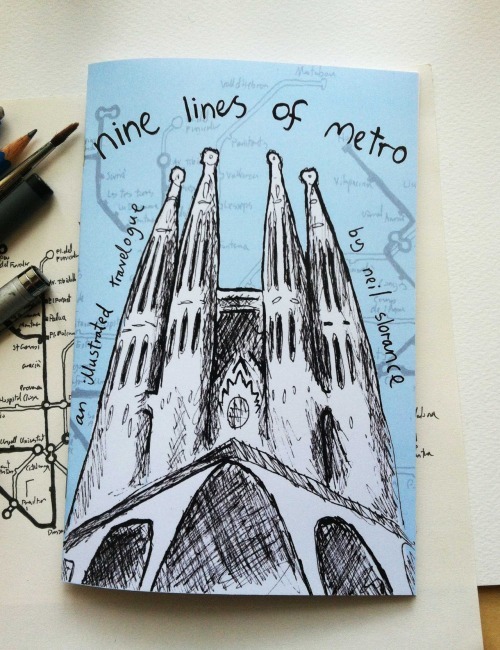 Neil’s went and done a book – it’s called Nine Lines of Metro and it’s an illustrated travelogue about his recent escapades in Barcelona. It’s not boring like other people’s holiday stories though, primarily because it’s an AWESOME COMIC. And here’s a link to Neil’s Etsy store to go buy it. It’s super-recommended and at £3, a total bargain. This entry was posted on June 24, 2012 by jonbotvsmartha. It was filed under Webcomic and was tagged with jonbot, knuckles, pugwash, the beard saga.